“New York Kids” – Dr. Tyler Forester, founder of a free medical clinic and the son of a Wall Street billionaire, is awarded one of the city’s highest honors for his humanitarian efforts. A few hours later, he is found dead in his tiny apartment. Henry and Jo discover that Tyler’s life of privilege and those of his thick-as-thieves Hamilton School classmates took a fateful turn one night many years ago. Now, the nightmare they thought they buried deep within themselves has come back to haunt them. Meanwhile, Henry recalls being faced with the terrible dilemma of being forced to decide between saving a man’s life and protecting his own secret. Now, he is faced with the same predicament, but will he come to the same conclusion? 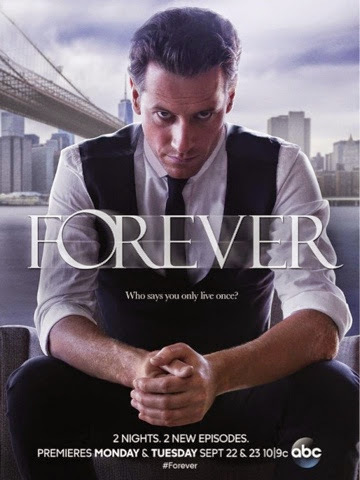 And Abe shares a deeply held secret of his own with Henry, on “Forever,” TUESDAY, OCTOBER 28 (10:00-11:00 p.m., ET), on the ABC Television Network.